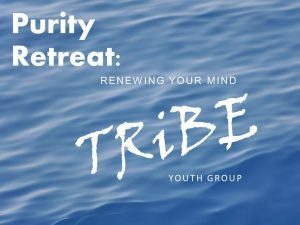 Tribe Student Ministries is about developing students who actively engage Christ in their world. We do this through creating environments that will be engaging to students, by plugging students into fellowship with a community of believers, through teaching students the truth about who God is and who they are because of Him, and by partnering with parents to lead the next generation to become fully devoted followers of Christ. We vow at Center Pointe to come alongside you as parents to help raise up your student in the way of Christ. Love God, Love Others, and Serve the World through Worship, Fellowship, and Service! Middle School is a very crucial time in the lives of your students. Students are straddling the line between playing with toys and trying to figure out all the changes that are happening around them. Our hope for this ministry is that your students would find their identity in Christ by the time they move to High School. We desire to challenge and equip students to be the hands and feet of Jesus. We want to give students a place and opportunities to serve, allow them to use their gifts, and instill in them the Word of God so that they can live out their calling. This year, we will have a special family workshop (Saturday @ 6); and invite the parents to be a part of this important information session. PNO is a great service opportunity for all students. Please see Pastor Ryan for training, if interested. We are working on some awesome service opportunities for both Middle School and High School Students. Please keep checking back for more information. For more info, please contact Pastors Javier and Fabiana.